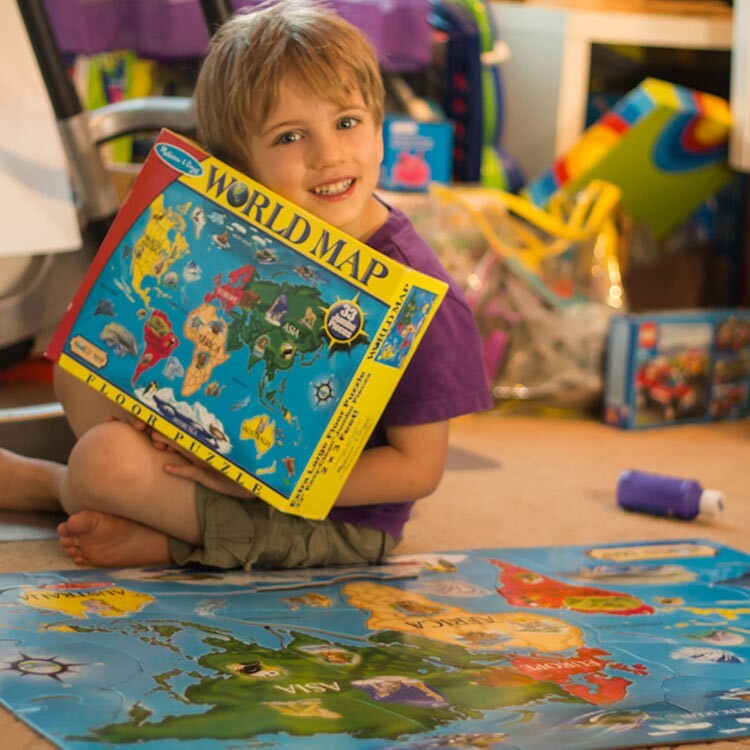 You can put the world together by yourself with this 33 pc world map floor puzzle by Melissa & Doug! 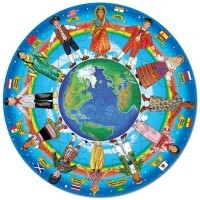 You can put the world together by yourself! 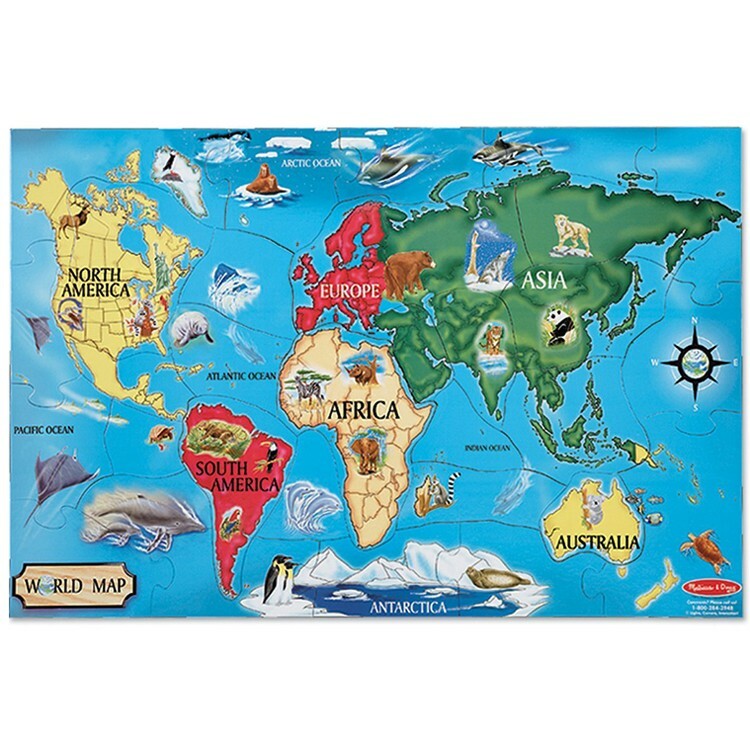 This large scale World Map 33 pc Floor Puzzle by Melissa & Doug will allow your child to learn continents, animals, landmarks of the world. 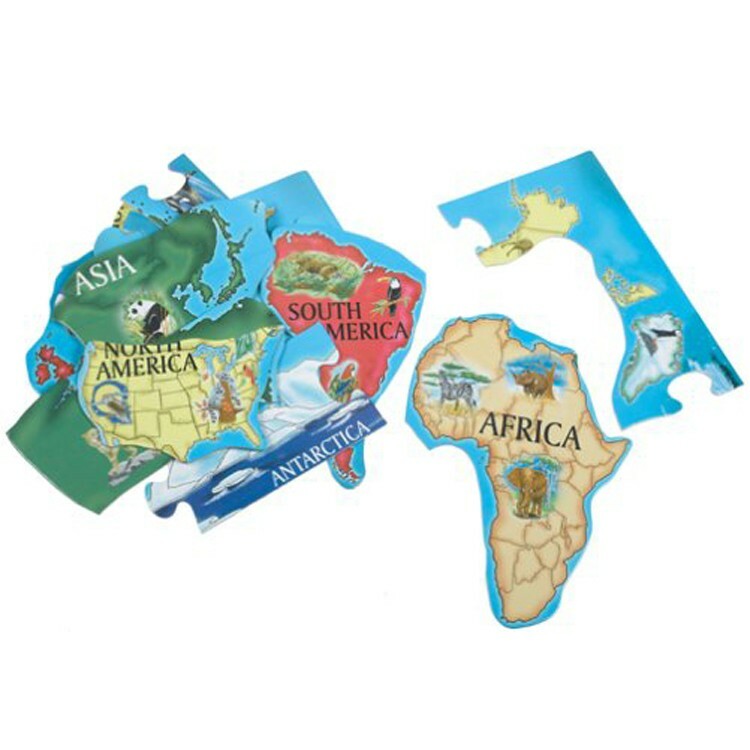 The colorful map puzzle features 33 heavy-grade shape-cut cardboard pieces that are coated on both sides for added durability. Assembled World Map 33 pc Floor Puzzle measures 3 x 2 feet. 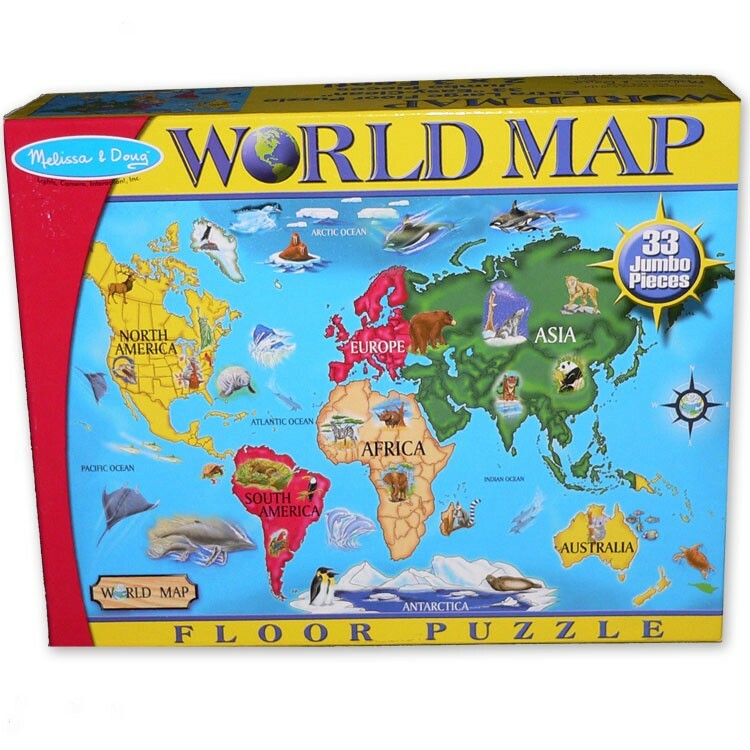 Write your own review of World Map 33 pc Floor Puzzle. Rating: 4 by Angela, IL I thought it would be a little easier to put together and stay together. I guess I thought the pieces would be a little bit thicker. Still the kids like it. 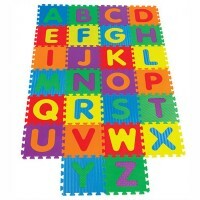 Rating: 5 by Elly, NJ 33 large pieces, nice quality, cute pictures of animals but I like that there aren't too many of them. 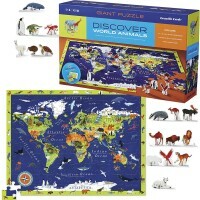 I really like that the pieces are not jigsaw, but rather large and irregular shaped, mostly following the outlines of the continents. 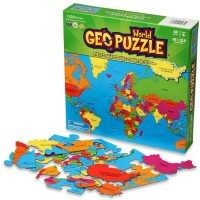 Most of the continents are at a single piece of a puzzle so we can take it and discuss what it is, where it is even before we place it on the map. 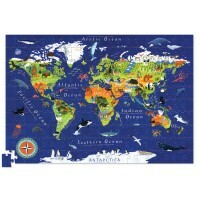 Good for introduction of Geography and for developing of concentration skills for building larger puzzles. 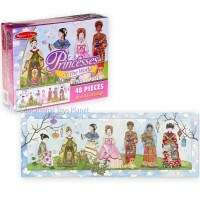 Rating: 5 by Kristen, NH My daughter loves to play with this puzzle. It is very colorful and educational. 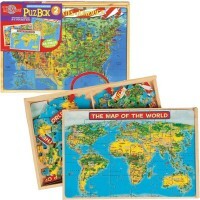 It has the least number of pieces I could find for World map puzzle. 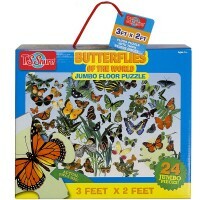 I am glad that is made for younger children.